How to use the Segment integration on your website. 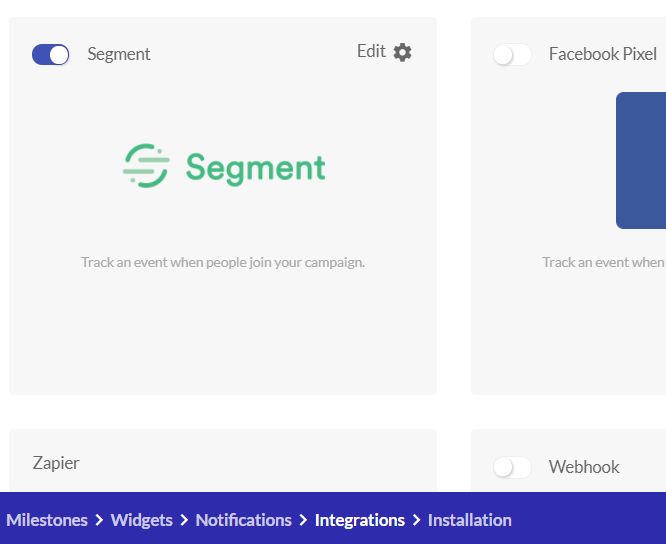 The Segment integration tracks an event to your Segment account, when a participant joins your campaign. All you have to do to make it work is to set up the name of the event (that will be getting tracked) and make sure you have installed the Segment library on your website.